Love triangles are nothing new on The Young and the Restless, but it always makes for an interesting storyline when one of the members of the love triangle is comatose. Phyllis has been in a coma since 2013 after an altercation on a set of stairs with Sharon Newman. According to The Young and the Restless spoilers, that is all about to change. 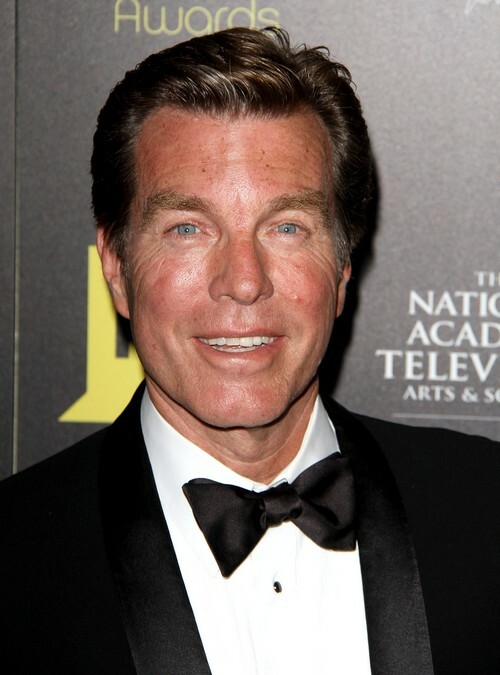 Phyllis’s fiance, Jack Abbott, has held on to hope for over a year that she might wake up, as days went by and her status didn’t improve Jack began to lose hope that she would ever return to Genoa City. In a surprising twist Jack began spending time with newcomer Kelly, after his little brother Billy cheated on Victoria with her. There have been some bumps in the road, but after a romantic date in the park Jack appears to be smitten with Kelly, and determined to win her over after their latest argument. In a recent episode of The Young and the Restless he confessed to Kelly that he wanted to be with her. Jack and Phyllis’s daughter Summer isn’t taking the news of her Dad moving on in stride. And after a heated conversation with Jack, he promised her that if her Mom ever wakes up from her coma he will drop whoever he is with at the time and be with her. At the end of the day his one and only true love is Phyllis. Jack’s promise to Summer will come back to bite him, last week TPTB at The Young and the Restless sent out a casting call for Phyllis. (The character was played by Michelle Stafford for nearly a decade but she recently signed on to ABC’s soap General Hospital.) Surely, when Jack made the promise to Summer that he would leave whoever he was and be with Phyllis when she woke up, he had no idea she was really going to wake up. Phyllis’s return to Genoa City is going to make an interesting storyline for Kelly and Jack. Little does Kelly know, as soon as Phyllis wakes up, Jack is going to hang her out to dry, he promised his daughter Summer he would. Phyllis’s return is going to cause some serious fireworks in Genoa City, and Kelly isn’t going to know what hit her. When Kelly arrived in Genoa City, she appeared slightly unhinged, and was mourning the death of her son. She met Billy Abbott and seemed bizarrely obsessed with him for a moment, and despite the fact that Billy asked her numerous times to stay out of his life, she didn’t. Phyllis’s return may send Kelly over the deep end, and Y&R fans could see her true colors sooner rather than later. So what do you think Y&R fans? We already know Phyllis is going to wake up from her come due to the less than subtle casting call, do you think Jack will make good on his promise and end things with Kelly when Phyllis returns? And, what about Kelly? Could you see her turning into the full-blow crazy character she has the potential to become? Let us know what you think in the comments below, and don’t forget to check CDL tomorrow for more The Young and the Restless spoilers and speculation.